HUGE THANK YOU TO ALL who contributed in so many different ways towards our Hurricane Florence Relief Efforts toward ENC! We are gathering all of the final data and will update on the totals as soon as we can. At this point we are no longer collecting items. Please note that we will be taking items for HURRICANE FLORENCE VICTIMS UNTIL WEDNESDAY, OCTOBER 3RD BY 5PM. MISCELLANEOUS NOTES: We need a few volunteers to help us sort items, log items in, and organize items properly in the trails/trucks, on Monday, October 1 and Tuesday, October 2 as well as Thursday, October 4 from 6PM-7:30PM(maybe a little less) here at NAH! We also need another trailer preferabley a bumpter pull type. We are working on setting up a picture gallery from yesterday's delivery 9.28.18-COMING SOON! I figure i would make this announcement as early as I could. PLEASE be aware or let others know what I Jonathan Marquez am the only person who is leading the responses, updates, and information outreach to others from NAG, to our partners, clients, and community. I will DO MY BEST to respond to everyone's comments and/or questions in a timely manner, but it could take me up to 24 hours to respond. I do not want anyone to feel they are being ignored. I promise to do MY BEST to get back to you all ASAP. Keep those donations coming Friends!! Thank you to all who have helped us with donations so far! First and foremost, on behalf of all of us here at FFF Equine Rescue we are deeply touched by everyone who has reached out and made donations towards the devastaed areas in our Coast. We would like to let the High Point community know that our rescue group is working alongside other Large Animal Rescue Groups assisting them with rescue operations. Some of our volunteers are out in the affected areas performing water rescues with horses that have been in chest deep water levels for more than 24 hrs. While some others are performing clean up duties at our facility. Once our facility is cleaned up, we will be able to be a holding facility for displaced horses and other large animals until we are able to re-unite them with their owners. Which at that point we will need more donations for the upkeep. We are also taking care of our 30 horses we have in our program prior to the arrival of Hurricane Florence. FFF Equine Rescue Group Facebook Page: Click Here! We have our trailers on site ready to accept all of your donations and help! We also have 2 others on stand by! We hope to have more updates as to when deliveries could take place with in the next 48 hours. Hello Everyone, Jonathan Marquez here, about 1 hour ago I was able to connect via phone with Dr. Richard Z. Owner and Partner of Brunswick Forest Veterinary Hospital which is about 8 miles from UNCW/Wilmington, NC. NAH has teamed up with his clinic in order to distribute the items we hope with your help we can raise in the next few days/weeks for the affected people and pets in our coastal area. Per Dr. Z him and his family were evacuated and are in the Clayton, NC area awaiting clearence to return home and access damages to their home and the Hospital. Once this is done we will connect with him and plan more clearly our exact delivery dates as we also await for the roads to re-open. Northwood Animal Hospital "NAH" will continue to ask friends in our community for their help with our relief efforts for our Coastal friends. 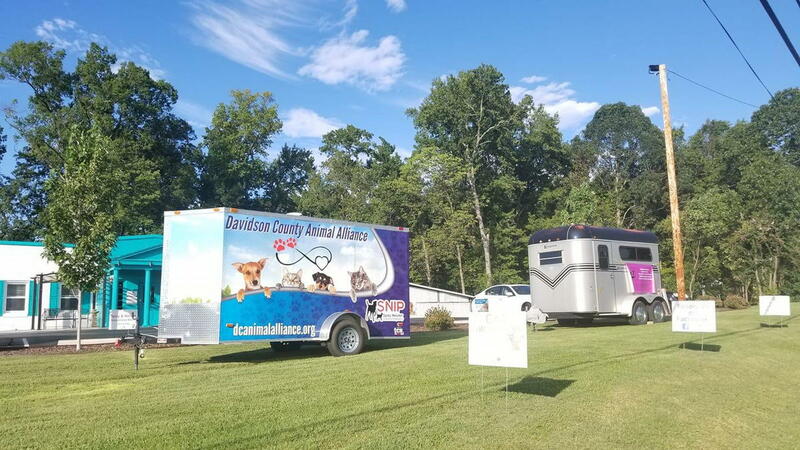 Dr. Slivka and myself will be bringing our Horse Trailer to NAH in the next few days to store the donated items, also our friends from Davidson County Animal Alliance have reached out to us and will also join us with their trailer and make the drive to the coast when the time arrives. NAH Clients, Friends, Family and High Point Community, we urge you to please consider making a donation in the forms of Pet Food, Pet Supplies, and Cleaning Supplies as well as Human Essentials to NAH, you can even shop thru Amazon.com and have the items delivered to NAH at 507 Eastchester Dr. High Point, NC 27262 ATTENTION: Florence - Relief Efforts. Here is a link to Dr. Z's hospital in the coast. NAH will also be on standby to asssit with needed meds since pribably Dr. Z and his team will not have deliveries for a few days if not weeks, NAH may if requested help with inventory during this difficult time speciually for those pets who need medicines daily. Click Here! As soon as we have more updates we will share them with you all. Oh Dr. Z will be getting us wanted lists in the next few days and he is working on getting more information from local rescue grups in his area as well as shelters of what items they may need. LIST COMING SOON! You can get creative in the meantime and even shop from AMAZON.COM read above for instructions. Please read the following Press Release from our Friends of FRANCIS, FLORENCE, AND FRIENDS EQUINE RESCUE: PRESS RELEASE CLICK HERE! Visit their Facebook page and see all the great work they do for Horses, Donkeys, Mules, Sheeps, Goats and many other large animals: Click HERE to Visit their FB Page! PLEASE HELP OUR COMMUNITY! Florence is almost gone, which means there WILL be a large number of injured, lost and abandoned pets that will need IMMEDIATE CARE. NAH is now accepting donations of leashes, dog food, towels and supplies of all kinds to help these poor animals. Please, as you start to be out and about, please think of these animals and consider purchasing a few supplies for them. Stop by our office anytime during our business hours and drop off the supplies. Call us at (336) 887-2606 if you have any questions. Thank you for making a difference!